Telluride Blues & Brews Festival celebrates 20 years. Telluride Blues & Brews is again offering a live internet video stream of the entire festival,Sept. 12-15; (for details and schedule visit tellurideblues.com). The summer music season of Colorado’s Western Slope region is capped off by four days of live tunes and craft libations at this year’s Telluride Blues & Brews Festival. Celebrating 20 years means bringing a standout lineup of national touring acts and a record 56 regional and national microbreweries for the festival and its patrons. Primarily taking place in the 36 acre venue outfitted for choice live music experiences, Town Park sits adjacent to the downtown Telluride section at the end of the scenic box canyon bordered by high elevation peaks. New amenities this year include an enhanced food selection from 13 vendors, exclusive campground music sessions, an onsite camping gear vendor provided by Project Shelter, and a Main Street parade featuring the Rebirth Brass Band. This year the iconic Fred Shellman Stage will take on the strong top-to-bottom lineup with headliners The Black Crowes, Jim James and Melissa Etheridge leading the charge. Last year The Black Crowes frontman played a memorable set at Telluride Blues & Brews with side project the Chris Robinson Brotherhood that serves as a testament to what his core band will offer this year, while My Morning Jacket vocalist Jim James will make his first solo appearance in Telluride after a huge summer of sets at the country’s biggest festivals. Melissa Etheridge’s extended 135 minute slot to close the festival on Sunday promises to be another notch in the event’s history of music legends playing at their highest level. Telluride Blues & Brews never strays too far from its blues roots, and this year Booker T. Jones will be representing the electric blues category with his Hammond B3 mastery at the free kick off party on Thursday night. Booker’s modern counterpart and recent collaborator on Sound The Alarm Gary Clark Jr. will also flex his prodigious and progressive blues guitar chops the following evening on the Main Stage. Also on board for Thursday’s 20th Annual Celebration Show is trance blues stringsmith and Blues & Brews veteran Otis Taylor. The modern rock landscape finds multi-instrumental soul-stress ZZ Ward, Austin’s retro-rockers Bright Light Social Hour, one-man-band Low Volts, American rock guitarist/pianist John Hiatt, and Telluride favorite Anders Osborne layering the lineup. Telluride Blues & Brews goes heavy into the cast of funk players this year with England’s The New Mastersounds, the world class Preservation Hall Jazz Band from New Orleans, and the resurrected 70s psychedelic funk of The Relatives. The thriving neo-soul sound will be also be properly represented by Washington’s “hippie with soul” Allen Stone and UK acoustic soul singer/songwriter James Bay. Between the 170 individual beers offered at the Grand Tasting on Saturday, the five hand selected House of Brews local representatives Aspen Brewing Company, Durango Brewing Company, Ska Brewing Company, Smuggler’s Brewing Company, and Telluride Brewing Company, and the official beer sponsor Sierra Nevada Brewing Company, Telluride Blues & Brews stays true to its legacy as a premier beer showcase in a booming microbrewery era. When the lights go down, the party continues at the four late night Juke Joint venues. Booker T. Jones and The Preservation Hall Jazz Band with Jim James and Karl Denson claim the Telluride Conference Center. A revamped Fly Me To The Moon Saloon sees The Rebirth Brass Band and The New Mastersounds. The intimate Elks Lodge houses Bright Light Social Hour and Selwyn Birchwood Band. The historic Sheridan Opera House hosts an Allen Stone and ZZ Ward co-bill, Anders Osborne, and then Karl Denson’s Tiny Universe for the Fais do-do closing celebration. The coveted Saturday single day tickets for the 20th installment of Telluride Blues & Brews have officially sold out, but limited 3-day passes and single day tickets for Friday and Sunday are still available. All limited Juke Joint tickets are still available, as are 4-day camping passes at tellurideblues.com. The 19th Annual Telluride Blues & Brews Festival featuring Phil Lesh & Friends, Gov’t Mule, and The B-52s announced recently added musical geniuses Trombone Shorty & Orleans Avenue, Little Feat, Robert Randolph & the Family Band, Anders Osborne, Heartless Bastards, Phil Wiggins & Rev. John Wilkins, Orgone, Kelley Hunt, Pickwick, Monophonics, and Big Jim Adam & John Stilwagen to the festival lineup. Previously released acts will include peformances by The Chris Robinson Brotherhood, MarchFourth Marching Band, Tab Benoit, Little Hurricane and The Lee Boys. Tickets for the 19th Annual Telluride Blues & Brews Festival are currently on sale now. On Saturday, the premier beer tasting event features more than 150 beers from over 50 accredited national microbreweries, including Telluride Blues & Brews Festival’s official beer sponsor, Sierra Nevada Brewing Company. Aside from phenomenal beer, music is the main festival focus, and 2012 promises to be the best yet. With a variety of performances and the most talented musicians on the festival circuit today, festival-goers are guaranteed a magical, and amazing experience. There is something for everyone with main stage music all day, the Acoustic Blues Competition, Kids activities, blues with breakfast, and the famous late-night Juke Joint jams. Three-day passes, Juke Joint tickets, and Camping passes are on sale now. Single day tickets for Friday, Saturday and Sunday go on sale June 15th. Juke Joint tickets are $25 per night, and feature late night jams at various intimate venues. Festival 4-day Camping passes are $40 per person, with camping located adjacent to the Festival grounds starting Thursday, September 13. For festival information or to purchase tickets visit tellurideblues.com. To purchase tickets by phone call toll-free at (866) 515-6166. Like on Facebook and follow on Twitter for up-to-date news and contest ticket giveaways. Watch the Lineup Announcement video here. 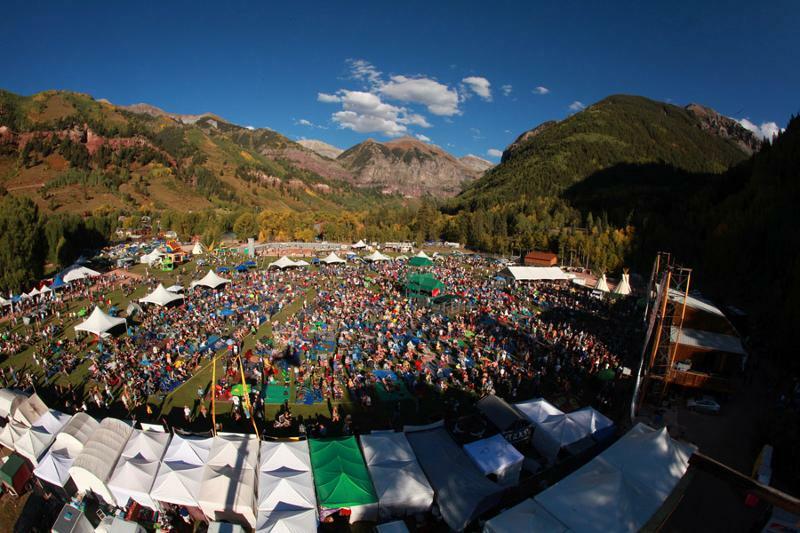 Tickets for the 19th Annual Telluride Blues & Brews Festival, to be held September 14-16, 2012, have just gone on sale. Renowned as one of the most scenic and intimate music festivals in the country, Telluride Blues & Brews is located within the world-famous resort town of Telluride, Colorado, in the heart of the Rocky Mountains. Blues & Brews is known in Telluride as the ‘locals’ festival, and is a three-day celebration of music and microbrews held in Telluride Town Park, an outdoor music venue with breathtaking 13,000 foot mountains as a backdrop. The festival offers an eclectic mix of live blues, funk, rock, jam band, gospel and soul performances, and some of the best microbreweries in the country, with a wide variety of food and craft vendors, children’s activities, late night jams, and much more. Tickets for Early Bird, VIP, Juke Joint (night venue), Camping, Campground Vehicle, and RV passes will all go on sale at 10 AM (Mountain Standard Time). Early Bird, VIP, Campground Vehicle and RV passes are in limited quantities and sell out quickly. The Early Bird 3-Day pass is $145 and the VIP 3-Day pass is $385. For festival information or to purchase tickets visit http://www.tellurideblues.com. To purchase tickets by phone, call 866-515-6166. 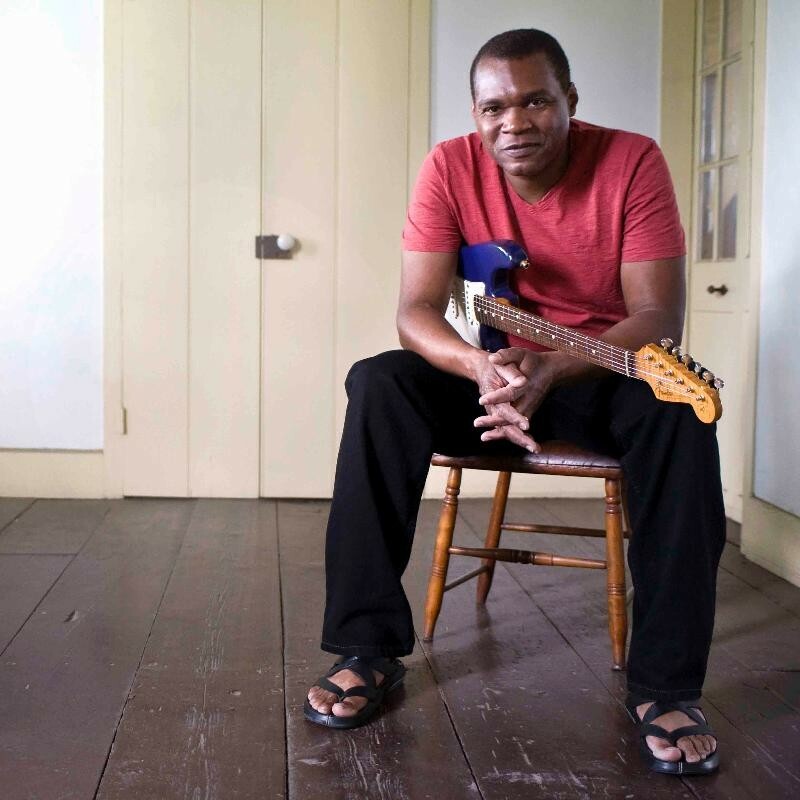 Robert Cray will be performing at the Telluride Blues & Brews Festival. Five-time Grammy winning Robert Cray will be among the musical lineup at the 18th annual Telluride Blues & Brews Festival at Telluride Town Park September 16-18. The 18th Annual Telluride Blues & Brews Festival will also feature headliners Willie Nelson, The Flaming Lips, and Big Head Todd and the Monsters. Additional performances include Zappa Plays Zappa, moe., Marcia Ball, Fitz and the Tantrums, The Reverend Peyton’s Big Damn Band, Mavis Staples, Anders Osborne, Jason Isbell and the 400 Unit and many more. Robert Cray leads the Blues Hall of Fame for the Class of 2011. Cray has established himself as one of the most popular artists in blues and has been a dominant force in blues ever since. He helped to reignite the blues on the national scene in the 1980s with his breakthrough album “Strong Persuader” in 1986. His soulful voice, creative guitar work, meaningful songs and dazzling live performances, shows why Cray has earned his rise to international fame and an inductee for the 2011 Blues Hall of Fame. Don’t miss Robert Cray’s intimate performance under the stars in Telluride Town Park. Renowned as one of the most scenic music festivals in the country, Telluride Blues & Brews is located within the world-famous resort town of Telluride, CO, in the heart of the Rocky Mountains. The Festival is a three-day celebration of music and microbrews held in an outdoor music venue nestled within a box canyon of the San Juan Mountains. A humble wooden stage with towering mountain peaks provides a natural showcase for the Festival’s talent. For Festival-goers, the pristine mountain valley makes the perfect dance floor. By day, experience live blues, funk, rock, gospel and soul performances, and the best microbrews in the country, a wide variety of food and craft vendors, children’s activities, and much, much more – all within the Festival grounds and only a couple blocks from the heart of Main Street, Telluride. By night, follow the festival music as it flows into town, where late-night juke joints fill indoor venues for after-hours jams, where you never know who’ll show up! Three-day passes, Juke Joint tickets, and camping passes are currently on sale now. Single day tickets for Friday, Saturday and Sunday go on sale July 1st. For Festival information or to purchase tickets online visit http://www.tellurideblues.com or call 1.866.515.6166 begin_of_the_skype_highlighting 1.866.515.6166 end_of_the_skype_highlighting today. Tickets can be purchased locally at Telluride Music, located at 123 E. Colorado Ave.